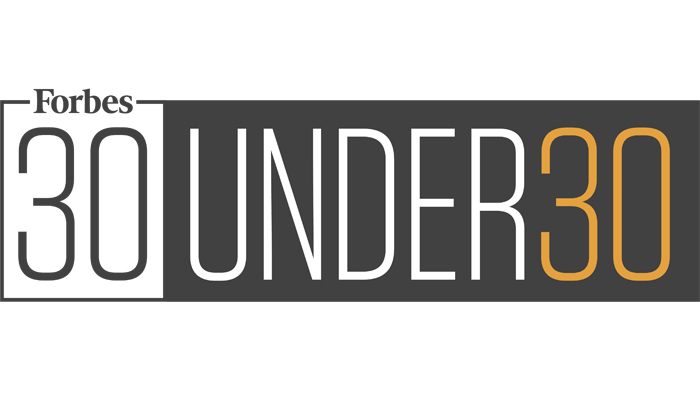 Forbes “30 under 30” Asia list includes Four Pakistanis. Pakistan is a developing country ready to set its foot prints into a new age of prosperity. Despite of few crunching issues, our youth has stepped up to change the destiny of our country. Youth has started changing the trends of entrepreneurship through the use of media, internet, and self-right realization. They are becoming successful in exposing to the world that Pakistani’s can definitely lead a new era of modernization. A recent achievement is about the four young Pakistanis who have been included in Forbes “30 under 30” list for 2016. This business magazine has pointed out 600 of the brightest young entrepreneurs who have the power to lead the new generation. It is based on 20 different fields and the Social entrepreneurship and Marketing category has featured four Pakistani’s as the emerging talent. This young woman is a Pakistani activist who works as a social entrepreneur for women’s rights. She founded a non-profit organization to help women in Pakistan to learn skills for their economic and personal growth. The Sughar Empowerment Society provides work to skilled women in villages and pays them for their work. It operates in 23 villages and provides six month training to women. The Sughar society empowers women by teaching them traditional embroidery skills, business marketing knowledge, and ways to get loans for starting their business. Fiza Farhan, who has been enlisted in the list of young social entrepreneurs, is a founder of a microfinance institution that aims to provide clean energy projects to rural areas of Pakistan. This foundation up till now has successfully trained 135 women who are now working as energy entrepreneurs. This foundation has also provided solar powered lights to 6,750 households across the country. Recognized by Telegraph, UK as the “the 50 best young minds in the world”, Umar Anwar Jahangir has also acquired a place in Forbes “30 under 30” list. He runs several health initiatives in Karachi. His programs also include Pakistan’s first blood-donor bank for the community through cellular networks. He is also a member of the Youth parliament of Pakistan where he works with public sector institutions to achieve development goals. From the last six years, he has been working with health-development and communication sectors. Although being wheel-chair bound but driven by her mother’s optimism, Muniba Mazari has represented Pakistan on the face of the world. She is a Pakistani artist, writer, and a motivational speaker. She has been appointed as Pakistan’s first Goodwill ambassador to advance gender equality and empowerment of women by the United Nations Entity for Gender Equality and Empowerment of Women. She is regarded as the Iron-Lady and the true face of our country. Even with her disability, she has proved it to the world that illusion and limitations are just the creations of your mind and you can achieve your goals with constant effort and sincerity. You can see the complete Asian list Here. Next article Mobile shopping is doubling in China, $500 billion and counting.